Network Rail is the beating heart of Britain’s railway, responsible for the upkeep of the metal arteries that snake the width and breadth of the land. One of the most complex parts of this massive responsibility comes when large sections of infrastructure needs to be upgraded, meaning that all traffic has to be stopped. The Christmas holiday has become a major time of year for these programmes, and the media scrutiny is intense. Network Rail were therefore pulling out all the stops to make 2015’s major blockades go without a hitch. 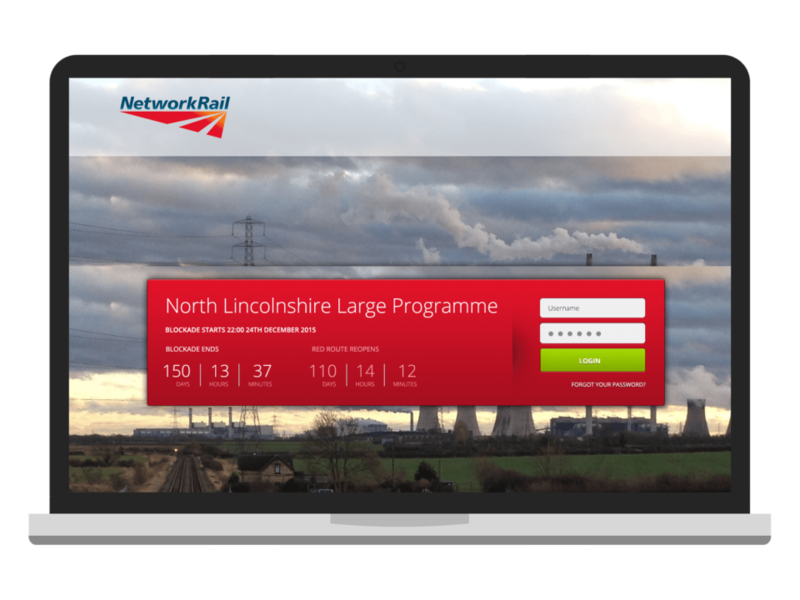 We were invted to tender to produce a web application which would help co-ordinate and communicate progress on the North Lincolnshire Resignalling project. When you close more than 60 miles of the railway network for 17 days (including 16 level crossings), a lot of people are affected. 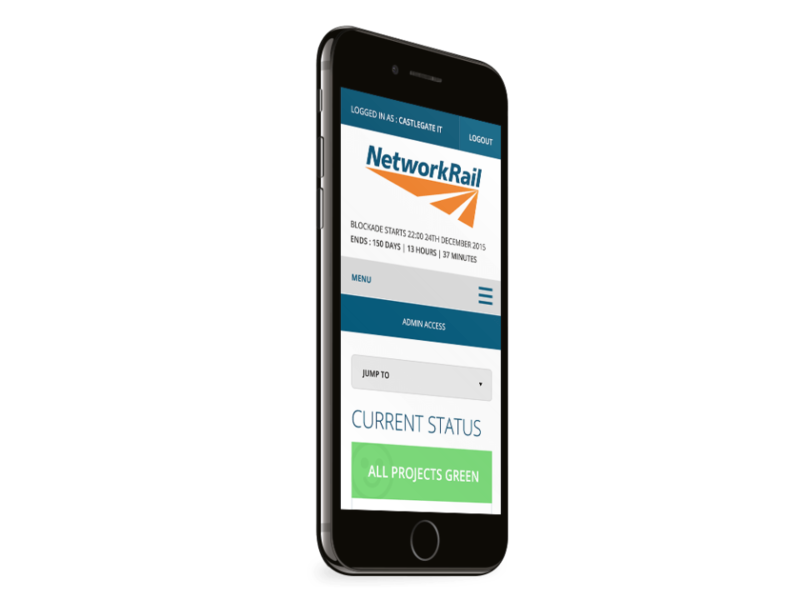 The website was to be aimed at all stakeholders – not just Network Rail’s own personnel and contractors working on the upgrades but also staff from local authorities in the area, national civil servants and the media. The aim was to provide quantitative reports on progress against the milestones in the project plan, at a level of detail dependent on the person viewing it. As well as the detailed project plan, there was to be a fairly standard blog to provide updates on progress. Access to different levels of detail has to be carefully controlled – nothing other than the date of the blockade is available without credentials, whilst the administrator user can access and update the project plan itself. The first thing to do was to get the project plan into the cloud where we can get at it. We used Google Apps for this: it provides robust, responsive hosting and a widely-used set of APIs for interacting with the data. The site hosting itself needed to be equally robust. We used two separate instances of the website on different servers in different cities. We used the dygraphs open-source graph library to produce interactive responsive graphs based on the data we pulled from the plan. We produce a design for the site in-house. The site needed to be highly useable and efficient rather than filled with design frills and thrills, and that’s what we’re best at. We built the system using WordPress, with a sophisticated custom plugin to pull the data from the Google storage. The site was fully responsive, to make it easy for anyone associated with the project to look in on a tablet or mobile device and very quickly review the current situation. 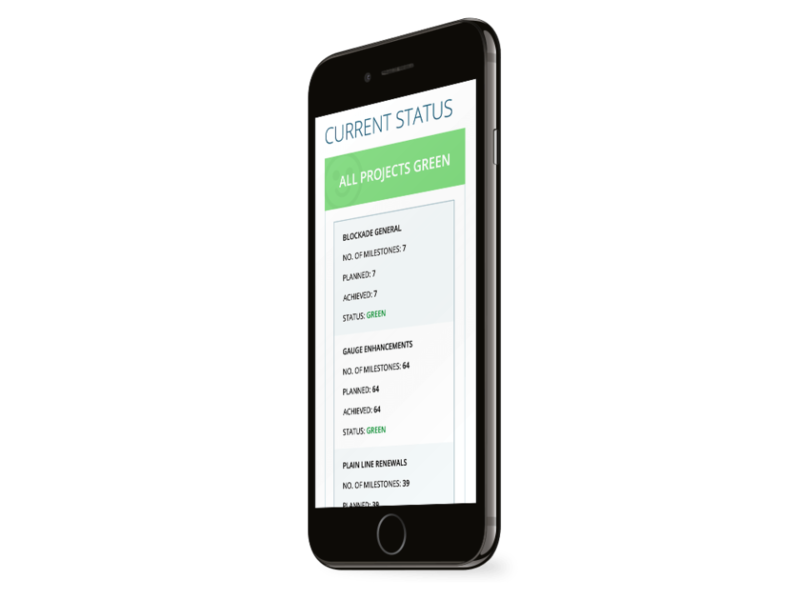 On a mobile device you see the overall status of the project straight away, and can drill down into the component projects and subprojects. The statuses are represented with a clear, traffic-light coloured system of icons that no-one can misunderstand. Any manager waking from a fitful sleep during this high-stakes project could be very quickly reassurred. Despite the loss of internet connectivity in York due to the Boxing Day floods, our website was up and running throughout. The project was completed to schedule, with both the ‘red’ and ‘blue’ routes reopened on time. 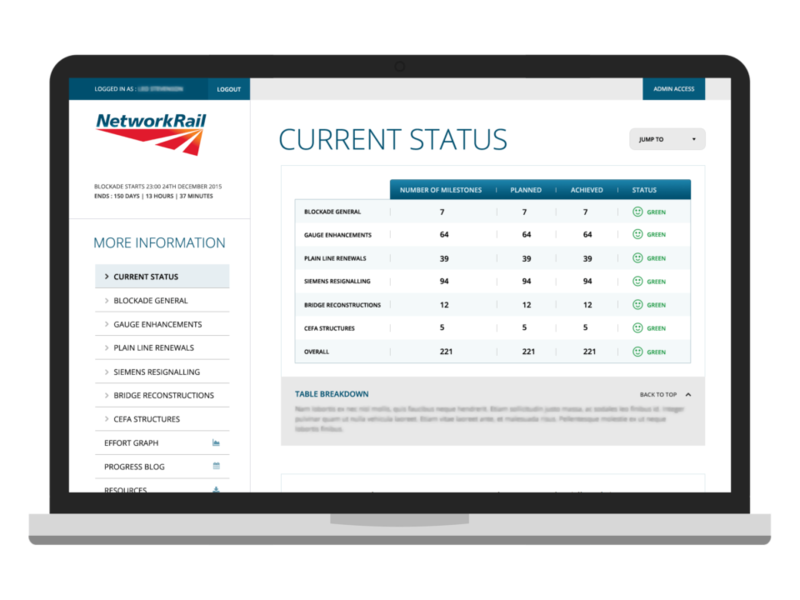 This was the first time that Network Rail had used an external website for this sort of project, but the project completed to schedule and the website was a success. We’re looking forward to developing this for future upgrades.